Erin S. Strauss (Theatre Director): Mrs. Strauss has her B.A. in Theatre Arts from CSU Fullerton in Directing and Acting where she was fortunate enough to be involved in an original musical All That He Was, that received National and International acclaim. She was a member of the Vanguard Theatre Ensemble from 1996-2002, where she not only directed Greetings by Tom Dudzick, Oleanna by David Mamet, and Blue Window by Craig Lucas, which earned her a nomination for Best Direction in Orange County. Blue Window won for Best Ensemble piece. But she also helped with the management of the theatre, including fundraising. She also directed Twelfth Night at the Brea Curtis Theatre for The Vanguard Theatre, and Dan Chasman's Last Chance for the Orange County Playwright's Alliance. Some other credits include: A Delicate Balance, True West, Welcome To The Moon, Women of Manhattan. Mrs. Strauss taught Drama at La Mirada High School from 2001-2003, where she produced and directed five theatrical productions. One of those productions was written by one of her students, and she took the production to The La Mirada Theatre For The Performing Arts. She also produced Advanced Acting Showcases, a PTA performance, and a large Renaissance Rally. At LMHS, Erin taught Beginning, Intermediate and Advanced Acting, Stagecraft, and Theatre/Film History Appreciation. She wrote and met UC course approvals for all classes, and was the Advisor for Drama Club. She also ran, managed, maintained technical equipment, props, costumes, publicity, tickets, programs, and balance sheets for the Little Theatre at LMHS. She also assisted in the design of the new Little Theatre. 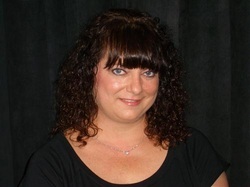 Mrs. Strauss has extensive related experience in the industry, as well as acting experience. She continues to coach acting privately, has served as a Judge for the High School Theatre Festival at Fullerton Junior College, and studied acting with various coaches in Los Angeles.